Cloud-based Dental Practice Management Software helps dentists manage patients, organize dental records, and handle scheduling and billing all through one easy-to-use CRM. Optimizes Treatment Planning & Clinical Charting Effective Office and Patient Management. DiyetBulut is our dietitian software answer for those who wish to directly target nutrition analysis, establish calorie baselines and provide meal plans. Our dietitian software is designed for dietitians and other related health professionals. DiyetBulut provides; client management, CRM functionalities and calorie assessment and meal planning features. Also provides Dietary analysis of obesity eating habits. 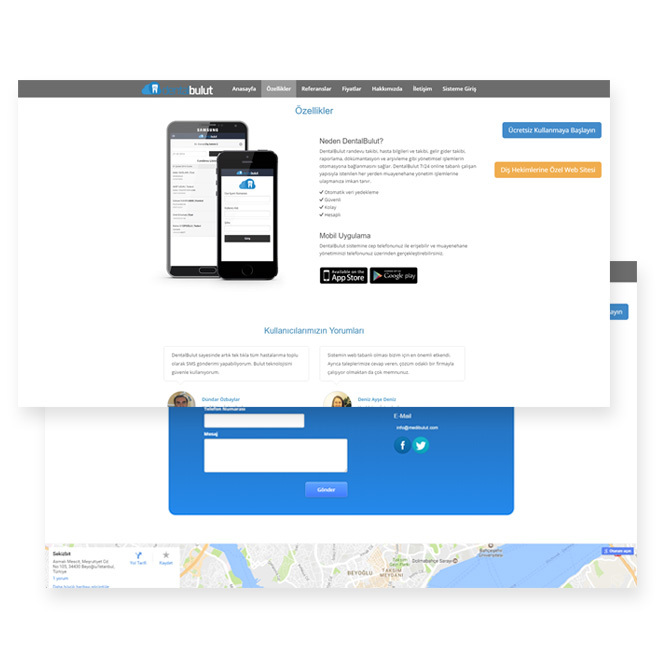 Our work - our ability to deliver compelling mobile experiences your users will love.